"Two of the standouts are abstract and glimmering. 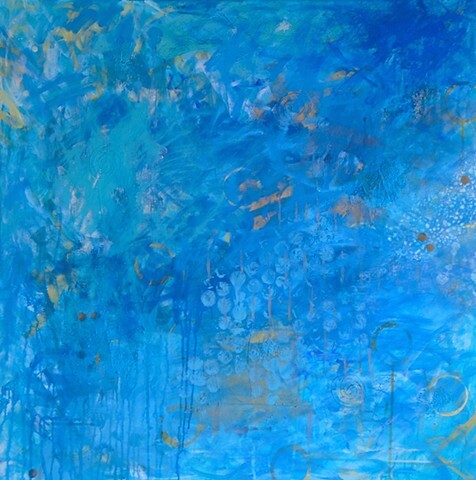 Phyllis Jaffe contributed a painting whose dollops of thick acrylic pigment suggest a jeweled surface; Fabiano Amin’s “Agua & Sol” contrasts gold circles and blue drops to evoke sun and sea. Much earthier are the papier-mache slabs on which Doug Dupin"